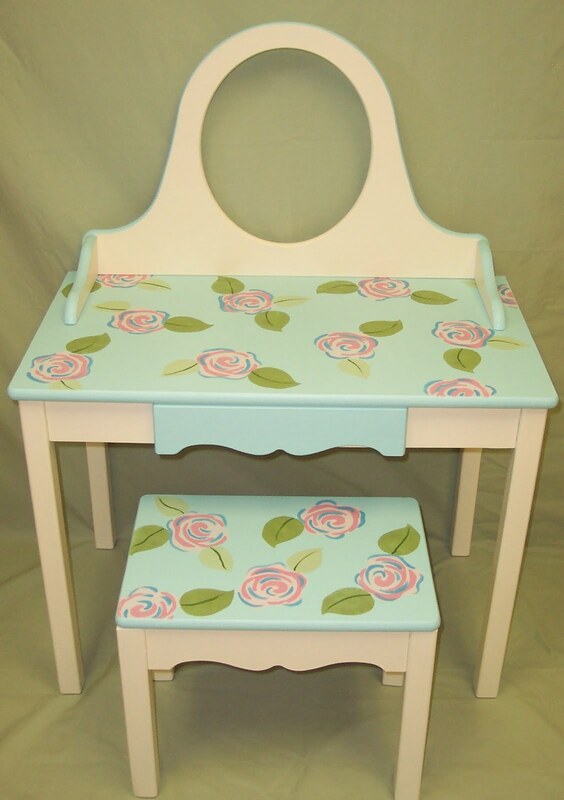 When I had my business making children's hand painted furniture, I loved the creativity involved. Half the fun was trying out various color combinations and themes. I equally loved painting for girls and boys. This was a little girl's vanity set I painted. I took the picture without the mirror in place. I painted several headboard's for beds. Here is a colorful butterfly headboard. Here was a patriotic headboard I created. I loved painting this sweet little insect chest. Here's a similar version done more to a boy's liking with old fashioned airplanes. Have you painted any themed furniture pieces for your kid's room? I'd love to hear about them! Mad Skills Monday at Support Blog for Mom of BOYS! 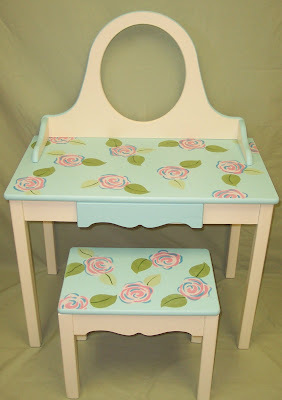 I love your hand painted furniture for kids! They all look fantastic, I wish I could say I was clever enough to do something so creative!!! Great pieces! I've painted an old window and turned it into picture frames. Never painted big pieces of furniture, that makes me nervous :) Found you on NFF! They are all so whimsical....what great pieces you create:) Beautiful work. LOVE these ...soo adorable and inspiring! You are so talented! These are very cute! Pretty!! Thanks for linking up to Mad Skills Monday! those are all SO cute! i love the airplane chest- my son would love it!! you have some major skills. Fabulous. I adore the vanity! My son;s room used to be airplanes that airplane dresser would have been perfect. These designs are fabulous! Thanks so much for sharing on Craft Schooling Sunday, great to "meet" you and hope to see you again soon! HI!! I LOVE those dressers....I painted my son's room with an airplane pulling a cloud with his name in it...We are now building a new house so I'm on the look out for new designs...I'm a new follower. very Beautiful stuff regarding the nursery furniture....I wanted to thank you for this great read!! I definitely enjoyed every little bit of it . I have you bookmarked to check out new stuff on your post..